April is around the corner and that means that we're looking forward to the announcement of the first tournament of King Puff Cup Season 3! 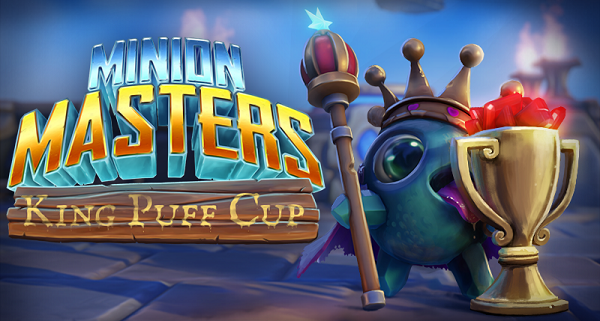 After a well-deserved break, we personally can't wait to see competitive Minion Masters coming back to Twitch presented by the King Puff Cup staff. How about you? But before the next King Puff Cup tournament circuit starts, we'll have an update. On Tuesday, March 27th, we'll present Update 62 - Cursed Valley. This update will introduce Cursed Valley Expeditions - a land where the dead rule. 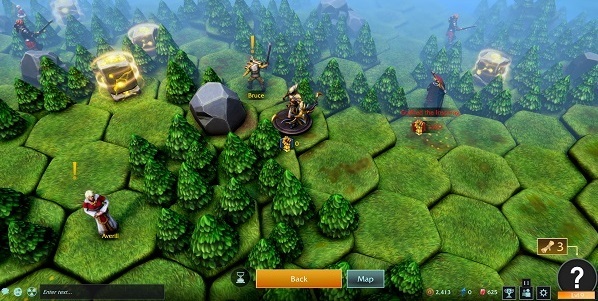 The new Expeditions come with a new theme and new layouts, as well as new bosses. The new Expeditions will also mark the end of the current Draft event! The Incubus will no longer be available as a guaranteed reward with 12 wins but via spins and crafting. All these units will receive a buff and we're very excited to see how you'll make use of these units afterward. As always, there could be more changes included in Update 62, so watch out for the official patch notes on Tuesday! What's with the mysterious update in ~36 days? Hold on, you'll get more information soon enough ;) For now, it's best to just get hyped for 8-10 new cards and new seasons! Within these ~36 days there will be other updates and who knows, maybe we surprise you with new cards prior to the mysterious update. According to the King Puff Cup Twitch channel, the first tournament of Season 3 is planned for Saturday, April 7th. It's fair to say that we can be excited already for the announcement of that first tournament. A little talk to the staff revealed that the new tournament circuit comes along with brand new graphics as well! We already got a little taste of these new graphics with the current offline graphic on the channel. As far as we can tell, the frequency of the tournaments didn't change and we personally can't wait to see the announcement and reveal of the first tournament format for the King Puff Cup Season 3! That's all for today, Masters! Head back to the flying arenas and if you have any questions feel free to ask via Discord, Reddit, Steam forums, Facebook and Twitter.